Bill Bryson is both a great writer and reader. His books have been a high point in my time here at Audible, but the William Roberts doesn't get Bryson's pacing or timing and as a result much of the humor is lost. If Audible could get a rerecord, I would recommend this, but I would suggest not downloading it and reading it on paper or digital over this performance. Would you listen to Made in America again? Why? 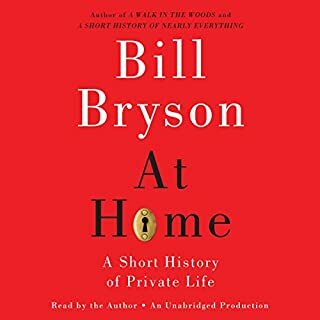 I just started to listen but one thing is very clear to me,Bill Bryson needs to read his own books. The narrator doesn't make me want to keep listening but I will. Would you be willing to try another one of William Roberts’s performances? Chock full of the most amusing trivia about America. Sadly, after getting used to Bryson as narrator, change is tough. Not a knock on Will Roberts, who is a great narrator. Where oh where is Bill? Would you try another book from Bill Bryson and/or William Roberts? 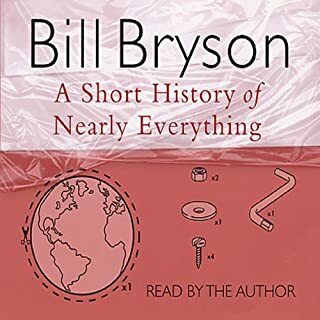 I love (almost) everything Bill Bryson writes, especially A Brief History of Nearly Everything. More recently, Shakespeare was good but not great. I am now only through the FIRST chapter (of six) in this book, Made in America, and it is horrible. At least half of this chapter is a repeat of Bryson's etymology lessons in Shakespeare, and the rest is like someone literally reading from a dictionary. What could Bill Bryson have done to make this a more enjoyable book for you? This book is (so far) devoid of the meandering but amusing "yarns" of which Bryson typically makes good use. This book is bland, repetitive, shallow and lacks any coherent overarching story upon which to hang what feels like a Google look-up of a list of words. Mr. Roberts tone was flat and uninteresting. It is neither pleasant, nor does it convey any emotion as to better inform the reader when something of excitement is going on. Admittedly in this book there seems to have been no such excitement, but I expected more. I miss Bill Bryson's voice narrating, and Mr. Roberts was notably bland. I would be thrilled to learn my purchase bought Mr. Bryson a drink or fine meal. Given how poor this book has been, he owes me one. Come back to us Bill Bryson. We miss you. It is basically Bill Bryson's latest formula book. A fair amount of interesting stuff but no plot or any real coherent theme. A fair amount of information on word origins but really just another book of Bryson's somewhat humorous thoughts. Not nearly as good as his older books. The reader is not as good as Bryson as he does not seem to grasp the intended humor of what he is reading. No, I would recommend purchasing a print copy. 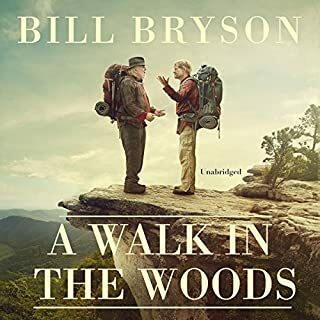 As in most of Bill Bryson's audio books it's his narration that brings the book to life and makes the listening experience so much more enjoyable. William Roberts narration is fine, but as other reviewers mentioned he doesn't "get" Bryson's timing and cadence. 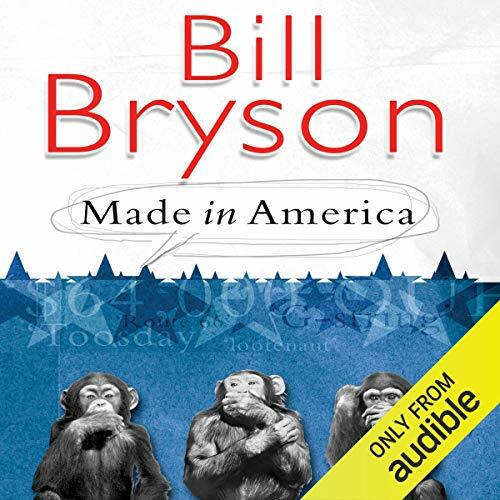 Although Made in America is not my most liked Bryson book (my personal favorites being At Home and The Short History of Nearly Everything) I did appreciate the history, trivia and story telling of the book. I'll keep my fingers crossed that Bryson might give us an abridged version of Made in America in the near future. A fantastic listen as it is very well written and read. The anecdotes and historical context to the subject matter are very interesting. I loved it and would definitely recommend it. I'm so glad I didn't stumble on this book as my first Bryson. What a nasty, arrogant, bigoted, nasty (did I already say nasty? ), smarmy man wrote this book. If this had been my first Bryson book I would never have bought another. Bryson, originally from Iowa, came back to America after two decades living in England and decides to drive around. Everything he sees, and everywhere he goes disappoints him. Food is greasy, gooey blobs that squirt all over him. Towns are drab, dreary, or filled with tourist attractions that are overpriced and not at all good. Bryson tells us about his father and mother driving him and his siblings around when they were young. Bryson's father is a dolt going to the worst of the worst state parks and attractions along their trips. Bryson even manages to make his mother, a saintly woman who never criticizes Bill, into a stupid woman and a doormat. 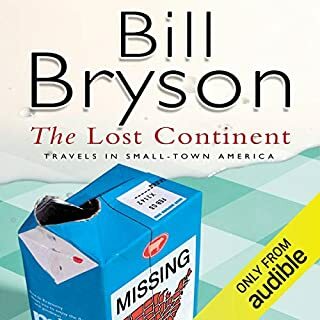 If I were Bryson's family and read this book, I would have told Bill to never get within 500 miles of the family and to change his name so no one would know they are related. Don't like the tone of this review? That's because I just finished the audio book and I've got his nasty attitude ringing in my ears. 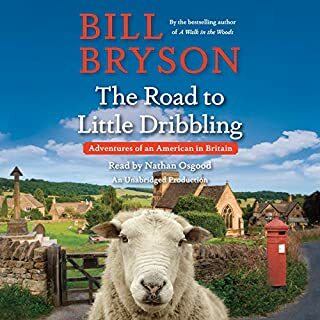 Unlike most of the Bryson books I've read, where Bill is the narrator, this book is narrated by William Roberts. Roberts sounds like a cross between a carney huckster and a school yard bully. I kept thinking that most of the nastiness would have been ameliorated had Bryson been the narrator. ... But I doubt it. Williams does nothing to make the book less nasty. But I suspect he was reflecting the nasty attitude in the book. Read any other Bryson book written after 2000. Bill's a much nicer man then. I'm not sure why so many people dislike William Roberts as the narrator for this book. His take on the book seems so similar to Bill Bryson's narration of his other books, I tended to forget it wasn't Bryson. 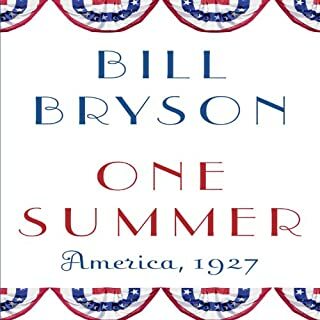 Meticulously researched and written, if you are interested in linguistics and the history of words specifically in America, there is no better author to tackle it than Bill Bryson. I would recommend the audible version for the pronunciations, but keep the print book handy as well.